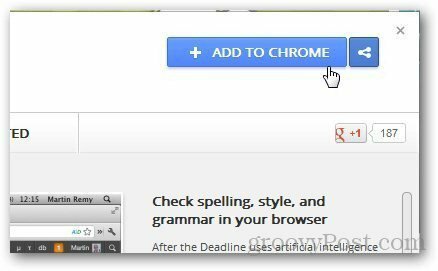 After the Deadline for Google Chrome is a handy extension available for Google Chrome and Firefox that checks for grammar and spelling errors. 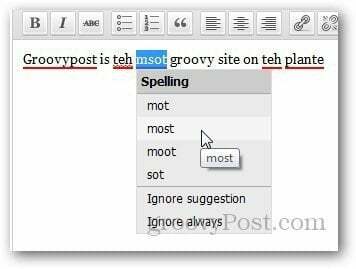 As a blogger, one of the most important things when writing an article, commenting on posts or updating statuses on Facebook/Twitter is to check for spelling and grammatical mistakes. There are many tools available online which allow users to check for grammatical and spelling errors, however, if you need to visit a different site or open a different app to do so, it’s not very convenient if all you want to do is write a quick comment in your browser. That’s why I really like the browser extension for Firefox and Chrome called After the Deadline. Download After the Deadline from its homepage in the Chrome Web Store and click on Add to Chrome button. It will ask you for confirmation. Just click on the Add button to install the extension. Once the extension is installed, it will show you a confirmation message. 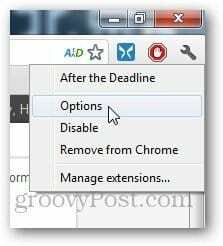 Now, you will be able to see the After the Deadline icon appear in Google Chrome’s address bar as shown on websites which support commenting or posting etc. 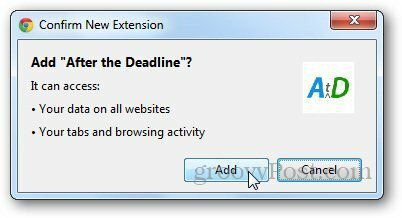 Lets take a look at the options of this useful extension. 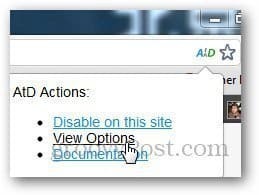 Just right-click on the ATD icon in the address bar and click on Options. Or just click on the ATD icon in the address bar and click on View Options. Here you will be able to see all the features the extension has to offer. 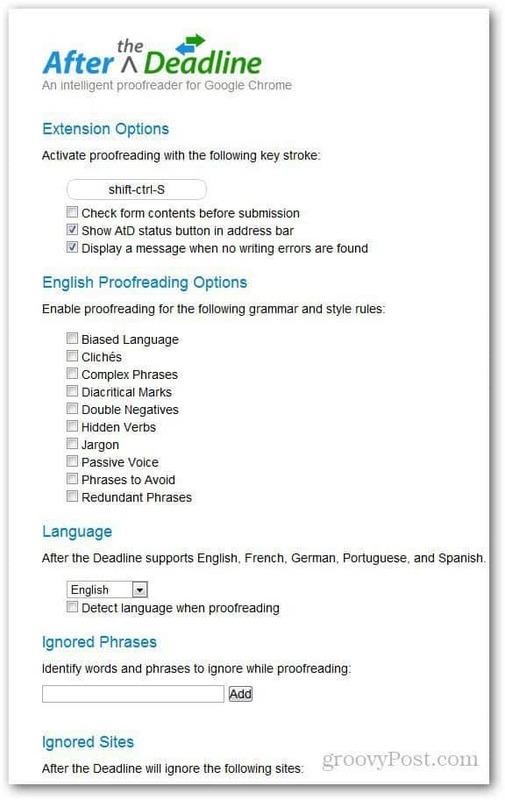 You can assign shortcut keys to proofread your article and make sure there are no errors. Similar to other tools like Microsoft Word, it’s not 100% correct as it uses artificial intelligence to check for errors and grammatical mistakes, however, it’s better than nothing if you ask me. You can also manually select the rules which the extension should check in a document. Another useful feature of the extension is the multilingual support. If you want, you can even add phrases or words, or any slang words used while updating statuses or while chatting, which the extension should exclude when proofreading any article. Now, open any website like Twitter or post editor, start typing and it will show you underlined keywords that need to be changed. Clicking on the words will show you suggestions which can rectify the errors. In conclusion, although it may not be 100% perfect, After the Deadline is a groovy tool to help with writing online.